At this point in his career, Henry Fonda was not happy with most of the films he had made. Steinbeck’s classic novel, The Grapes of Wrath, was certainly one he was proud of, and thanks to John Ford, he got the role of a lifetime. Like Brando as Stanley Kowalski, or Cagney as George M. Cohan, it’s difficult to imagine anyone else fitting the role of Tom Joad other than Henry Fonda. But there was a price to be paid for getting that part. 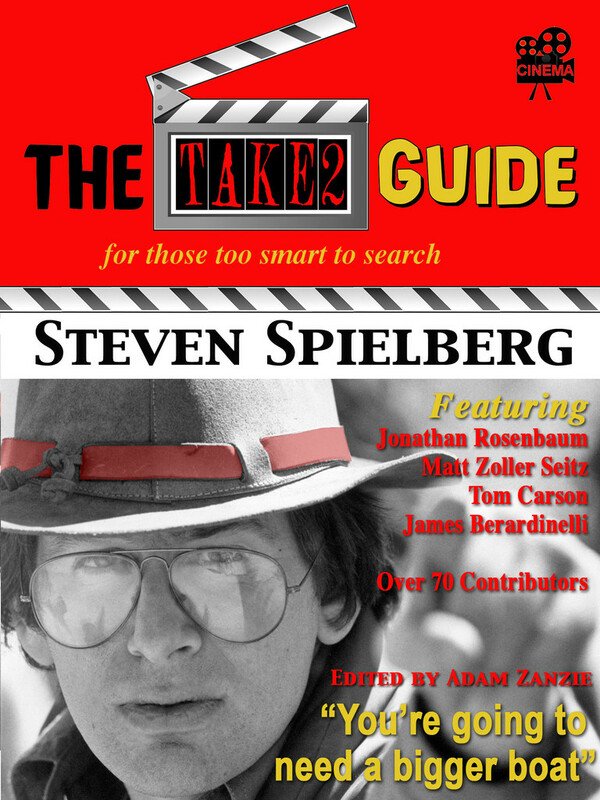 20th Century Fox honcho, Darryl F. Zanuck would only give him the role if he signed a contract with the studio. 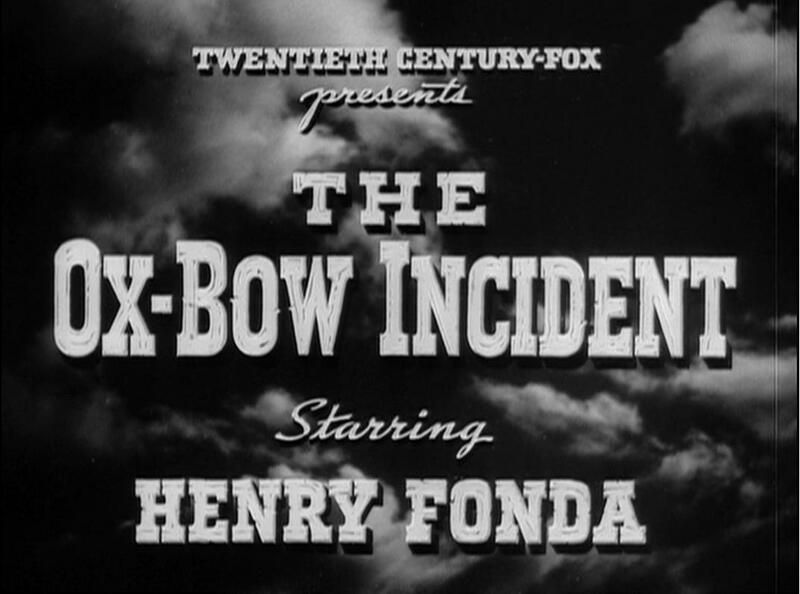 One of the films he made for Fox during this period was The Ox-Bow Incident, based on Walter Van Tilbert Clark’s extraordinary novel. Directed by William “Wild Bill” Wellman, the film is an oddity in westerns of the period. In 1943, the war was on and most films focused on lightweight escapist entertainment, a two hour break from worrying about husbands, fathers, sons and the horrors of what was happening in the world. The Ox-Bow Incident was not lightweight entertainment, it was a downbeat, ugly look at humanity with little gun play. Instead it focused on vigilantism, group mentality that reduced men to the lowest primal level of thoughts and deeds. It is arguably the first psychological western ever made. Zanuck did not want to make the film. It wasn’t a commercial enough he insisted, but Fonda and Wellman liked the story and the script. They hounded Zanuck until he relented. Of course, both men had to agree to make other more commercial projects (for Fonda, it was The Magnificent Dope) without any sort of bitching. All shook hands and the film went into production. The time is 1885. The place is Nevada. We see two cowboys come riding into the dusty town of Bridger’s Wells. 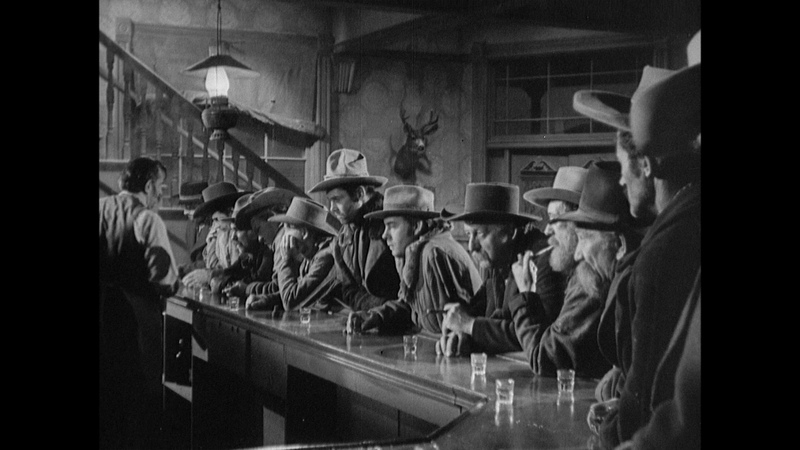 As they dismount, one of the cowboys, Gil Carter (Henry Fonda), looks around and announces the town is “deader than a Paiute’s grave.” He and his partner, Art Croft (Harry Morgan), looking to take a break, enter the local saloon. They quickly find out there isn’t much to do in town. There are practically no women except for those who are married. As the bartender announces there are only five things to do in town: eat, drink, sleep, play poker and fight. Gil, who is a bit tense, was obviously hoping for some female companionship; a woman he was expecting to be available was recently asked to leave town. He soon gets into a fight with a cowboy named Farney (Marc Lawrence); quickly stomping on the guy. But before he can do any other further damage the bartender cracks a bottle over Gil’s head. After Gil comes around, a young rider named Green (William Benedict) comes galloping into town and enters the saloon announcing a local rancher by the name of Larry Kincaid, a friend of Farney’s, has been murdered and his cattle have been stolen. A group of the town folks quickly want form a posse, not bothering to wait for the sheriff. Hanging is the only solution says Tetley (Frank Conroy), a former Confederate officer from Texas. The only voice of reason comes from Arthur Davies (Harry Davidson), a local storekeeper, who attempts to stop the men from riding out half- cocked. However, the former Confederate soldier, embarks on a take the law into our own hands speech and quickly gets the mob fired up. They are soon in the mood for justice…lynching style. Davies gets Judge Tyler (Matt Briggs) to try and stop the mob but to no avail. The self-appointed posse, illegally sworn in by the town’s deputy sheriff, quickly mounts and rides out with an insatiable hunger for self-styled justice. The mob includes female rancher Jenny Grier (Jane Darwell) along with the reluctant son of Tetley who wants nothing to do with the mob or its actions. Gil and Art ride out with the group fearing, if they did not, it would look suspicious, believing this out of control group is beginning to look like a bunch who don’t care too much who they hang. They soon come upon three men sleeping by a campfire. They surround and quickly overtake the unsuspecting trio. 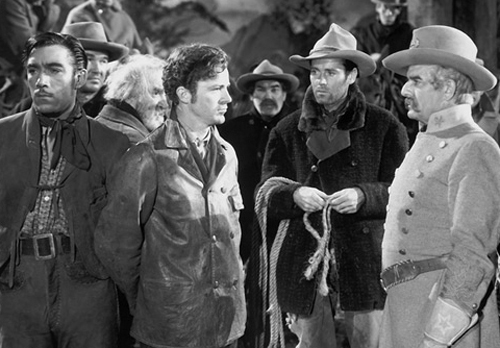 The head cowboy is Donald Martin (Dana Andrews). With him are a Mexican named Juan Martinez (Anthony Quinn) and an old man (Francis Ford). The men explain they recently purchased the cattle legally from Kincaid, but they have no bill of sale to prove it. The mob is quickly convinced these guys are lying and are the killers. Led by Tetley, the mob wants to string them up right then and there. Gil and the storekeeper Davies plead for some time, until dawn, to let Martin write one final letter to his wife and for the men to pray. Gil promises Martin he will deliver the note to his wife. Vigilantism, the mob mentality of taking the law into one’s own hand has been dealt with in films from Fritz Lang’s Fury and Merlyn LeRoy’s The Won’t Forget to Black Legion and Hang ’em High. People claiming to have God on their side, forget about laws and decency, instead they deal out their own blood lust form of justice. Here, these men are vultures, filled with their own self-serving sense of morality, looking down on their prey. There is no evidence. Only an unchecked lust for blood and revenge. William Wellman’s use of the camera is descriptive. When the vigilante mob first comes upon the three luckless cowboys, he uses a low angle shot as the mob approaches with Farley and Tetley looming large looking down at the depression like area where the three men are innocently sleeping. The victims are quickly surrounded and remain visually in lower angles. Henry Fonda’s Gil Carter is one of the most enigmatic characters he has ever portrayed, at times bitter, partly because of a broken relationship with Mary Beth Hughes who shows up for one brief scene. Other times he is the voice of reason, the kind of role Fonda has portrayed repeatedly throughout his career. There is a scene toward the end of the film where Gil reads out loud the letter written by Dana Andrews’ character to his wife. It’s as strong and memorable a scene as anything Fonda had ever done. We know from the beginning the victims are innocent, you see it in the magnificent, heart wrenching performance of Dana Andrews as one of the unlucky three. He’s stunned when his accusers tell him what for he is being accused. “We haven’t done anything,” he pleads. Anthony Quinn as Juan Martinez, another of the accused is snidely defiant. In his eyes you can see a lifetime of discrimination and accusations that have been leveled at him for no other reason than he is Mexican. The film is filled with other fine performances, particularly from Jane Darwell’s dirty, screeching rancher to Frank Convoy’s brutal, egotistical and sanctimonious Southern major. The Ox-Bow Incident was nominated for Best Picture but would lose to Michael Curtiz’s Casablanca. The film’s one major flaw is its artificial sets and studio lighting. Obviously, most of this film takes place outdoors, but it is clearly a studio setting. Still, it remains one of the most powerful indictments on the bad behavior of human beings. This post is part of the William Wellman Blogathon. For more articles, essays and reviews on William Wellman check out the link below. This entry was posted in 1930's, Western and tagged Henry Fonda, Henry Morgan, Jane Darwell, William Wellman. The drama of the story isso completely riveting that it is easy to overlook or ignore the fact that the film is so set-bound. A very satisfying, but difficult film and an excellent review. True, the set bound film does not take away from its power. This is a film that is as relevant today as it was way back when. Thanks! A very good summary of an excellent film. Great post! Thanks so much for sharing your insights and for joining the blogathon! Glad to have been a part of it all. Well written and engaging! 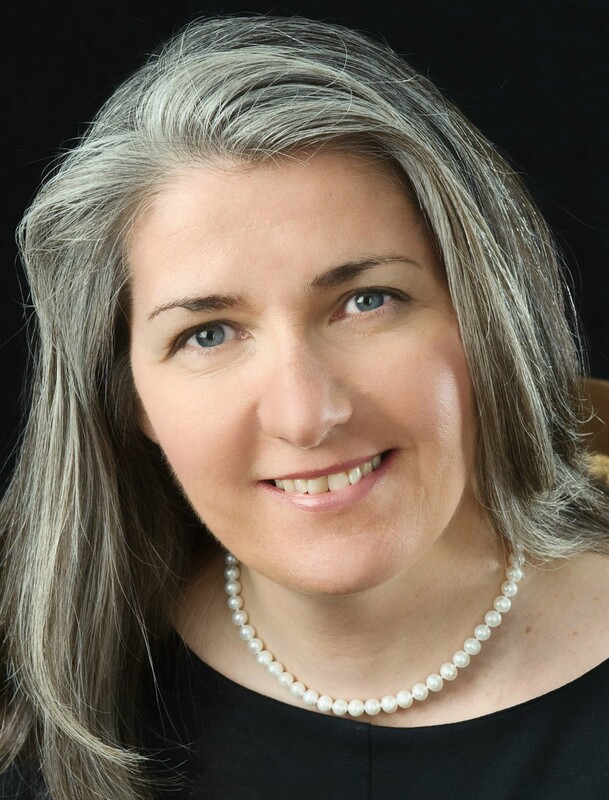 Happy to have found your blog to follow! Yup, “psychological western” is the perfect description. I didn’t realize this film was shot in only 30 days. Incredible! Thanks. It was hot quickly because I don’ think the studio had much faith in the film, financially. This is a great film! I saw it the other night, it is dark and intense. I agree this is one of Henry Fonda’s strongest performances. This film bookended with 12 Angry Men would be such a fascinating ethical argument. Great review! Yes! 12 Angry Men and this would be a perfect double feature. Both films should be mandatory viewing in an ethics course. Great piece, John. 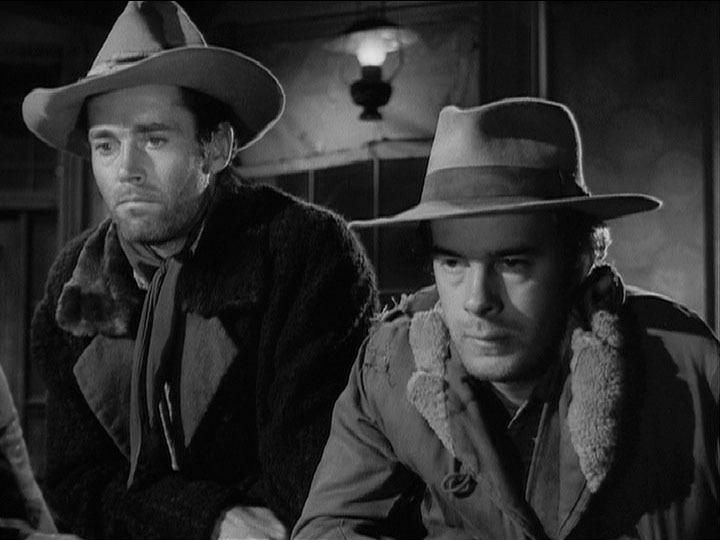 This is one of Wellman’s greatest and Henry Fonda and Dana Andrews are both fantastic. I was impressed by your descriptions of the way the camera moves in this film, and your discussion of the mob mentality in a whole series of films – I’ve seen a few of these recently, such as ‘Fury’ which you mention here. Just struck me there’s a lynching of a man in similar circumstances in Wellman’s earlier Western ‘The Robin Hood of El Dorado’, where a man is accused of stealing a mule which he has actually bought and again can’t prove it. Judy, I have not seen the earlier western you mention but will keep an eye out for it. Yea, this is definitely one of WellmAn’sWellman’s greatest films. Thanks Ricardo for the kind words. The more I think about it, the more I am convinced this is Wellman’s greatest film. It sadly points a finger at one of mans greatest flaws. The ability to rush to a mob style judgment without knowing all the facts. I will definitely check out your post. A potent and deeply disturbing film of the lethal sway of mob hysteria, which is so well delineated here in this masterful review John! Is it Wellman’s greatest film as you contend here? I do like Wings, Wild Boys of the Road and some other a lot, but I’d have to agree that OX-BOW INCIDENT edges them out. It is one of the truly great American films of the 40’s and there are plenty of unforgettable performances. Clark’s novella is a classic too!